Over the years Chapel Doors and their fully trained engineers have installed many steel doors. 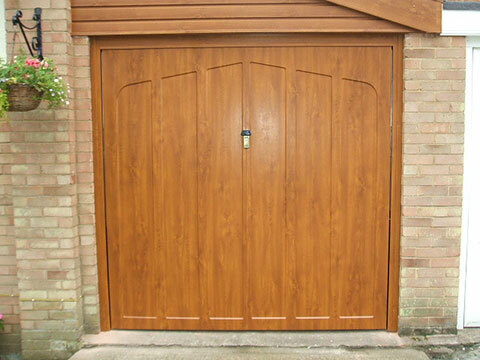 Steel garage doors offer long lasting durability with a minimum amount of maintenance. 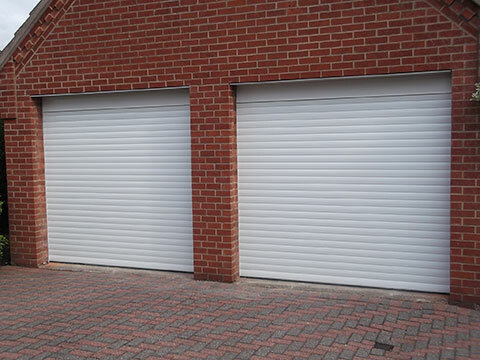 They come in a range of styles to suit your home and have the additional benefit of matching side doors to complete the uniformity of your garage. Whether your garage is attached to the house or separate, you might be looking for a side door that perfectly matches your garage door. All our steel doors come white finished as standard although they can be supplied in a colour from a standard range in a style of your choice. We can even supply them in Decograin to match PVCu windows and front doors, or with windows to let in more light to your garage. We can find the right door to suit your requirements. Steel garage doors can be supplied in a variety of colours from the RAL colour chart. Our decograin finishes come with a 10 year guarantee for added peace of mind. 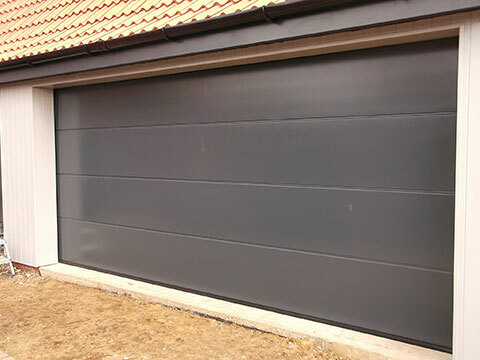 Steel garage doors can also benefit from Plastisol finishing. Plastisol is a coating used to protect the steel door surface from the elements, giving a low maintenance, high quality even finish. Plastisol is highly durable, providing excellent protection against corrosion and is guaranteed to resist fading or colour change for up to 10 years. Plastisol has excellent abraison resistance and will not easily scratch or scuff. We have included a small range of styles and colours for you to view. Why not call us for a FREE site survey where we can discuss all the options with you and provide you with a comprehensive quotation. 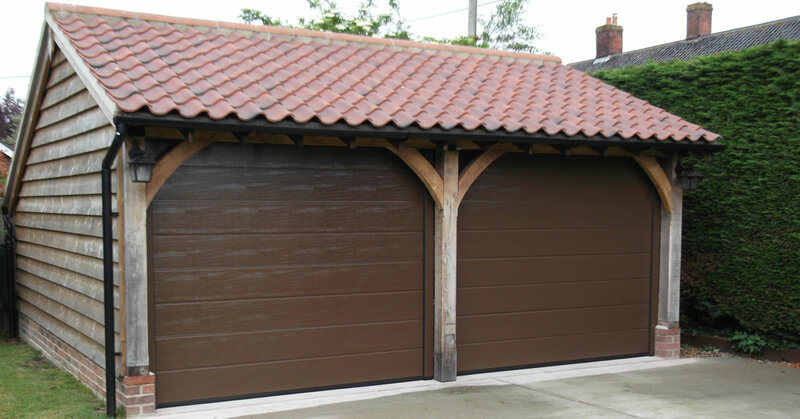 Why Choose a Steel Garage Door? With a strong and malleable construction, steel is a wonderful material to add individual finishes and designs to. 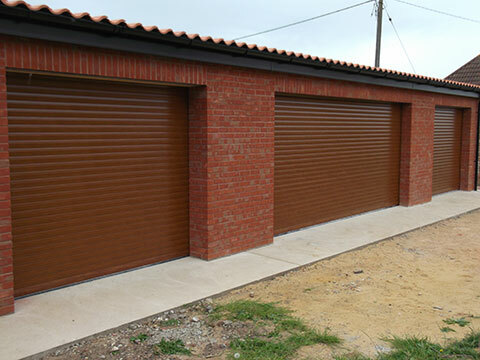 Our steel garage doors are tailor made, so they can be built to fit even the largest garages and still ensure the same excellent security features and resistance to any attempts at forced entry. The beauty of steel is its strength, and ours is of such a high quality we guarantee them to give you peace of mind that your car and possessions inside are as safe as they can be. And because the steel we use is galvanised and then powder coated inside and out in finished colours, the only maintenance it requires is a wash down with soap and water every so often. If you've decided that a steel garage door would suit your home best, take a few minutes to browse through our impressive range of styles, colours and finishes that you can choose from by requesting a brochure or speak with one of our advisors who can talk through the different options with you.